Applications are invited for Financial Assistance For Purchase Of Stationery to SC/ST/OBC/Minority Students of class I to XII in Government Schools/recognized schools of Delhi for the year 2018-19. ** SC/ST/OBC/Minorities students of class I to XII of all Government/Aided/Recognized public schools affiliated to Directorate of Education/Kendriya Vidyalaya Sangathan/ National Open School/ Schools affiliated to NDMC/Delhi Cantonment Board, East Delhi Municipal Corporation, North Delhi Municipal Corporation and South Delhi Municipal Corporation are eligible to apply. ** The students should not have less than 70% attendance in previous academic year. a) I to VIII Class – Rs.100/- Per month for 10 Months. b) IX to XII Class – Rs.200/- Per month for 10 Months. ii. Student may not opt any centrally sponsored scholarship scheme with the state funded scheme. iii. Applicant should fill in amount of fees as per receipts uploaded on the portal. v. Applicant should mention their active mobile number, so that updated status may be communicated to them. vi. Student/applicant will be responsible for filling incorrect/ incomplete information on the portal. vii. 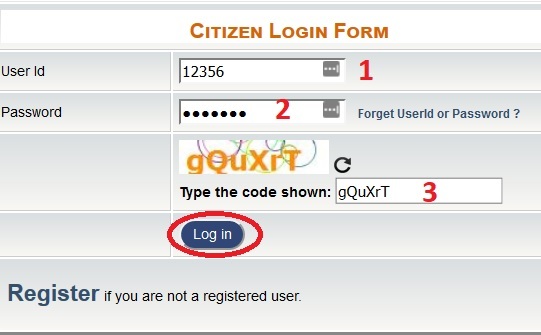 System generated Login ID should be kept safely by the applicant for monitoring of their application on the e-district portal and future references. ** The applicant belongs to the minority community should be resident of Delhi for the past three years and should upload proof thereof like EPIC card, Aadhaar Number, Ration Card, Landline telephone bill of MTNL, Driving License issued by GNCTD and Domicile Certificate issued by SDM in Delhi or pass book of nationalized bank. ** The applicant should upload Caste Certificate (SC/ST/OBC) issued in the name of student or his father’s name by SDM/Deputy Commissioner (Revenue), GNCTD, Domicile Certificate of Delhi if the caste (SC) certificate is not issued by the competent authority of Govt. of NCT of Delhi. ** In case of minority student, declaration by parent/guardian in prescribed format that his Son/Daughter belongs to particular Minority Community require to be uploaded on the portal.